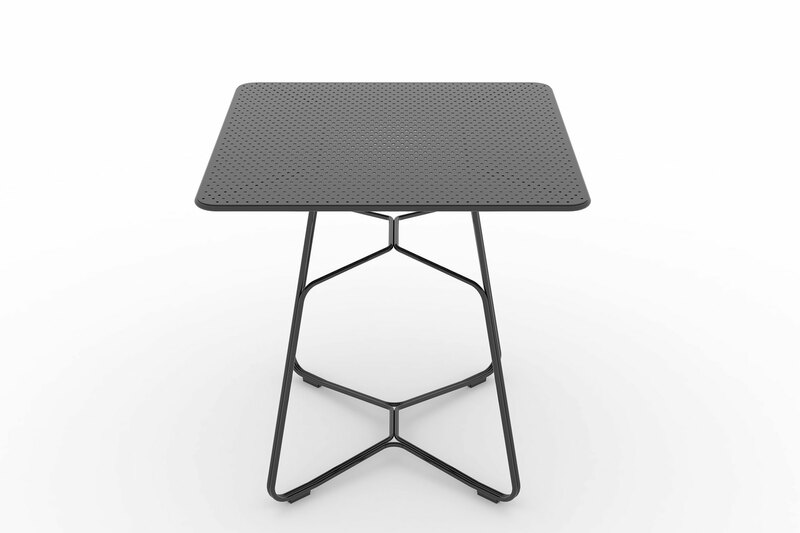 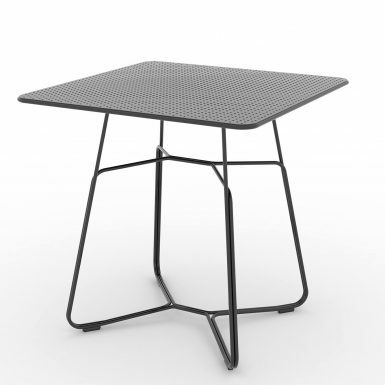 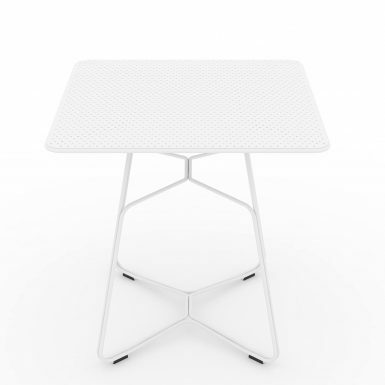 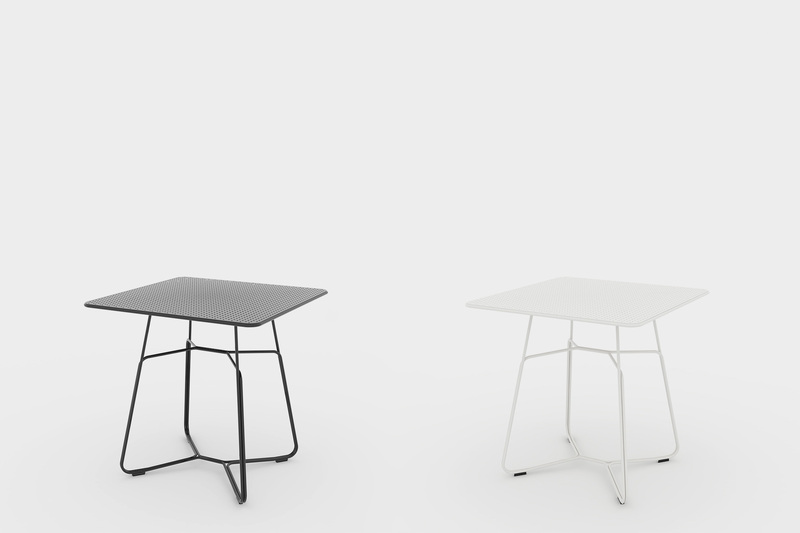 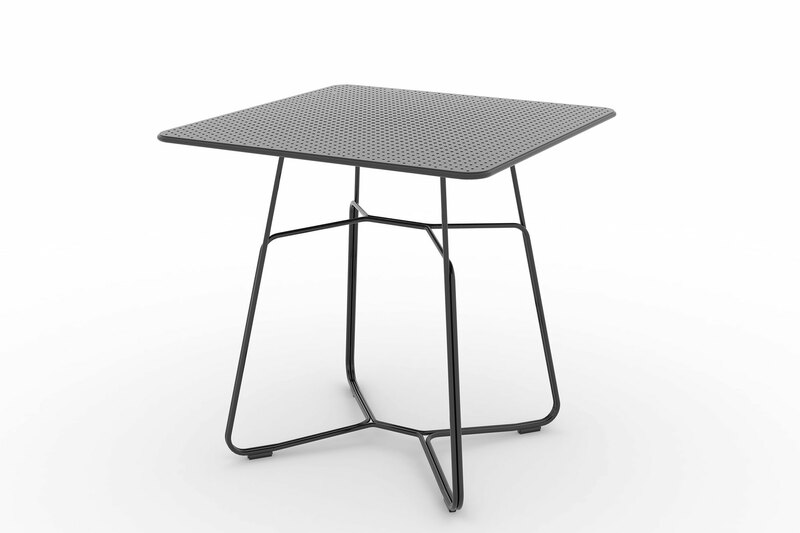 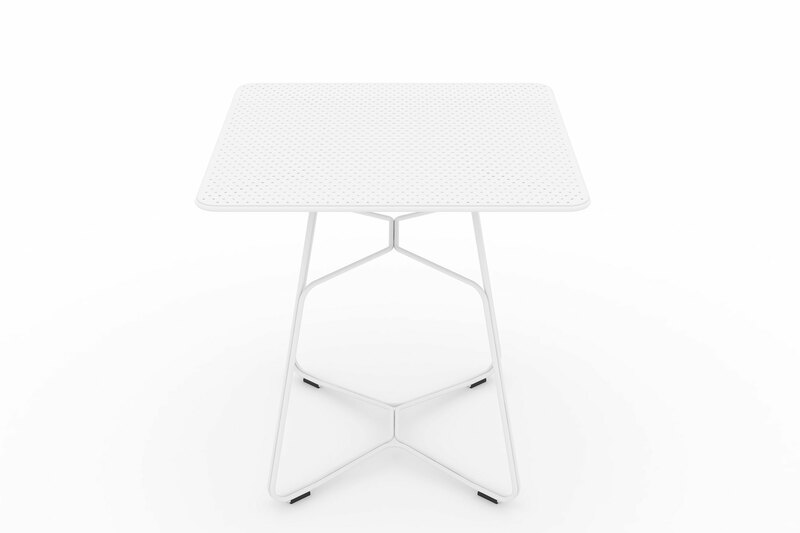 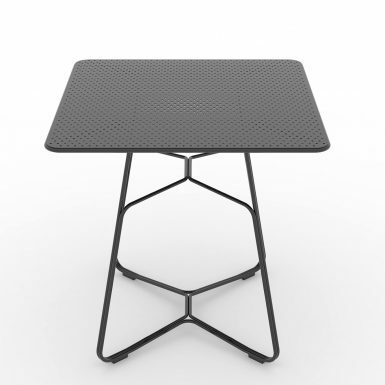 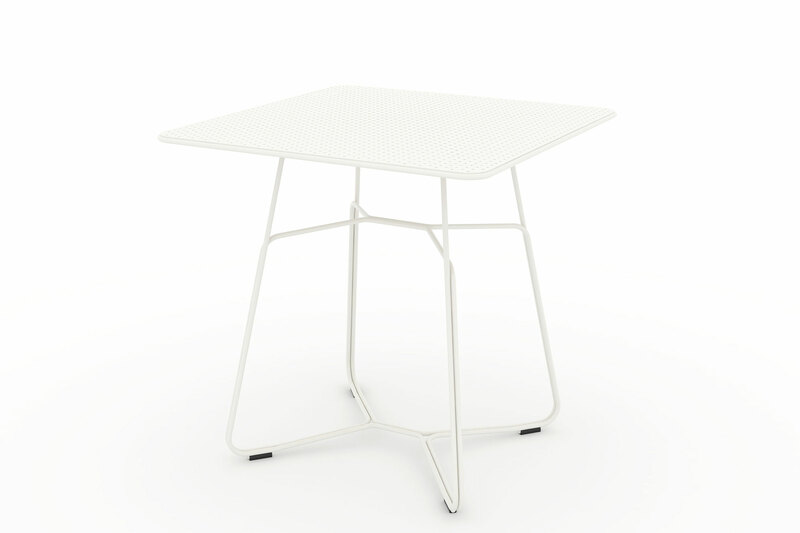 The ‘Naked Table’ is a simple cafe style Bistro table with the same perforated styling, also available for interior or exterior use.  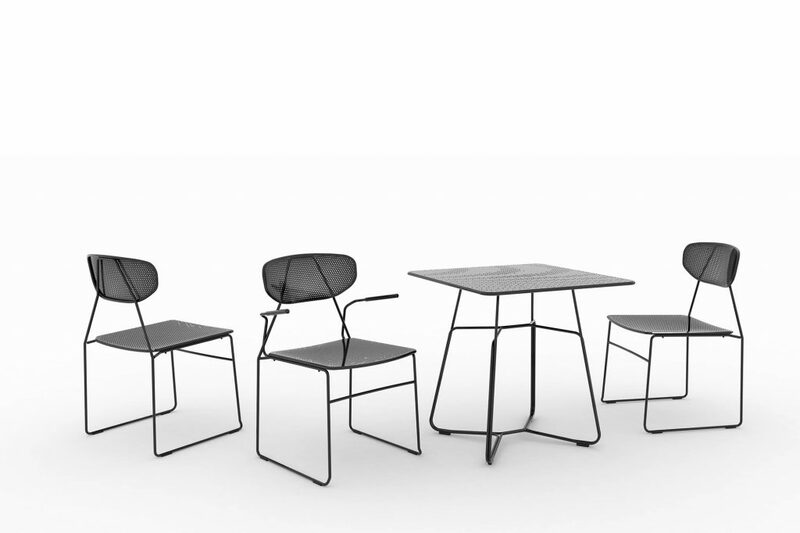 Designed by Magnus Long and Gala Wright for British brand deadgood, Naked range is of a furniture collection for outdoor and indoor use. 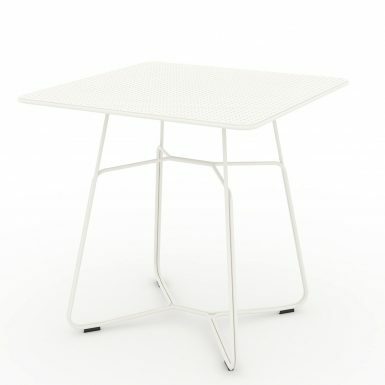 The subtly graduated perforated steel seat and back reference the rod frame and give the chair transparency with robustness.